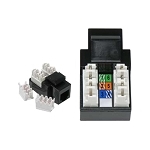 Keystone couplers are perfect for adding Cat5E connections for voice, home networking, home offices, audio, and video applications. 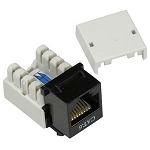 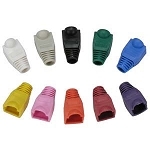 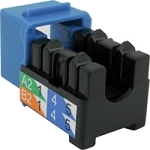 Selection of high quality modular adapters for RJ11, RJ12 and RJ45 plugs. 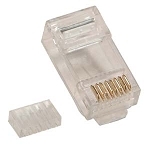 Category 5 ethernet jack comes in various colors to attach to a cable for networking. 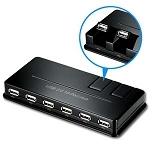 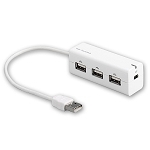 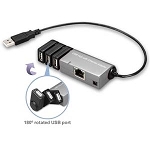 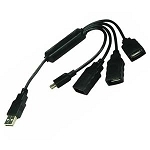 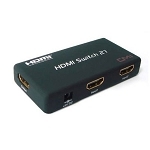 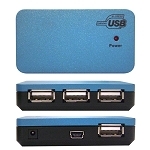 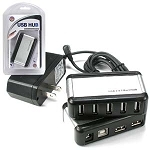 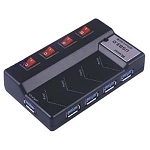 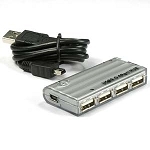 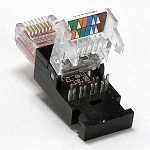 Designed for computer networking and includes simple snap-in installation. 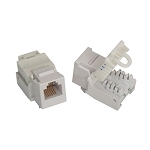 Used for linking several networking cables together or extending existing cable runs. 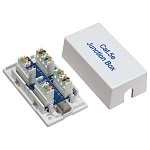 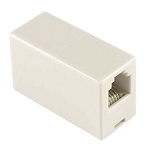 Keystone Jack inserts works great to add a CAT5 or CAT6 connection any house or office. 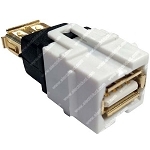 This is an 8x8 90 cat5e keystone u-jack. 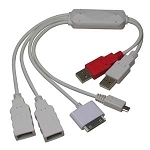 It can be installed for networking systems, telephone use, or video. 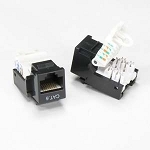 Easy way to splice two Ethernet cables together without the use of connectors and couplers. 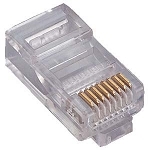 CAT 5e connectors for QuickPort's and universal use. 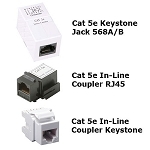 Cat.6 keystone jacks provide excellent performance and reliability as well as optimum signal quality. 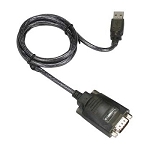 Unique design includes a built in device to clamp down and connect wires while still providing superior performance meeting industry standard requirements. 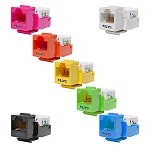 Expand your connections for voice and data applications with these multi-colored Cat6 Inline Couplers! 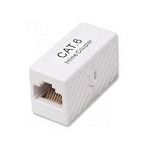 Latest standard for enhanced performance is Category 6A, which has frequencies up to 500MHz – twice that of Cat.6. 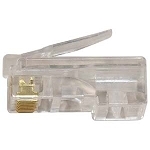 This is an 8x8 90 cat6 keystone u-jack. 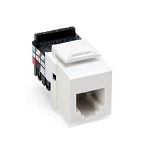 It can be mounted on wall plates, surface mount boxes, and blank patch panels. 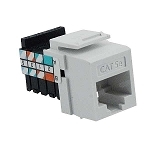 This is an 8x8 90 CAT6A keystone u-jack. 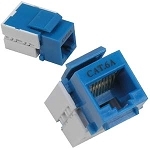 It has superior performance to CAT6 network cables, and is made with better materials to provide excellent performance. 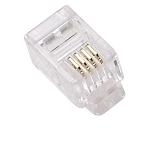 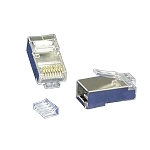 High quality Cat6 connector for QuickPort and universal use. 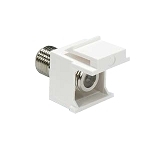 Easy and affordable tool less snap-in keystone jack for phone lines. 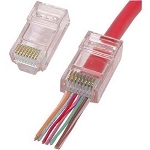 Inexpensive wiring scheme for a single telephone line in your home or office. 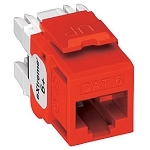 RJ11 90° 6x6 Cat3 voice grade keystone jacks are used for two-line telephone network systems and their self-extinguishing fire safety features. 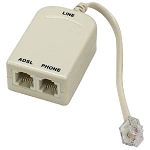 Provides a full range of solutions for voice, home office, home networking, audio/video and more. 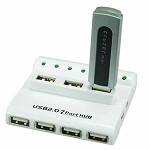 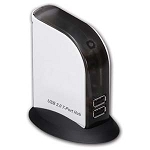 Connect and charge USB devices with this hub. 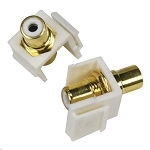 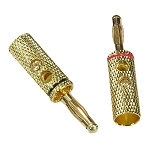 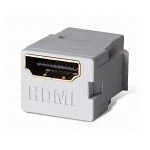 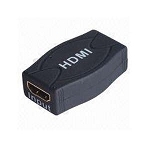 Durable and reliable female-to-female RCA connector accommodates audio and video applications. 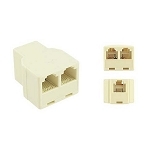 Varity of Snap-in Connectors for Keystone Faceplates. 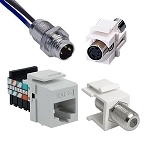 Universal connectors that fit all FSR products.